McLean Mortage in Virginia has come out with an innovative way to give their buyers an edge in putting in offers. The McLean “LoanFirst Program” will give a buyer a full pre-approval prior to putting in an offer. This pre-approval differs from a traditional pre-approval because they will put in the full loan application, process the credit and income verification, and fully underwrite the loan (subject to a ratified contract, clear title report, and appraisal) before you even put an offer in. Though this may not help with the lengthy short sales it would most certainly improve a buyer’s position in front of a regular seller or asset manager and shorten the closing time that is traditionally required to go from contract to close. Of course, there would be additional updated document requests but the major clog in the loan process would already be cleared. Thanks to McLean Mortgage for logically thinking through how the purchase of real estate should go instead of sticking with industry norms. 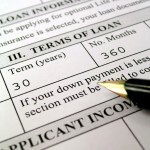 Posted in For Buyers and tagged buying a reno home with a loan, reno conventional loan program, reno home buying blog, reno loan process, reno sparks downpayment programs.